Fruit wines are a fermented alcoholic beverage made from any number of base ingredients other than grapes. 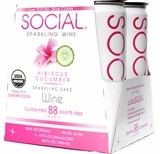 Additional flavors such as herbs, fruits and flowers may be added. 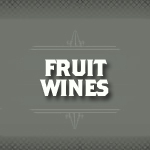 Fruit wines are labeled according to their main ingredient i.e. "pomegranate wine" or "cherry wine". After two seasons serving up our sold-out Apple Pie wine, we decided summer deserved a similar treat. So, help yourself to a large helping of homemade cherry cobbler (plus a delightful scoop of vanilla ice cream).